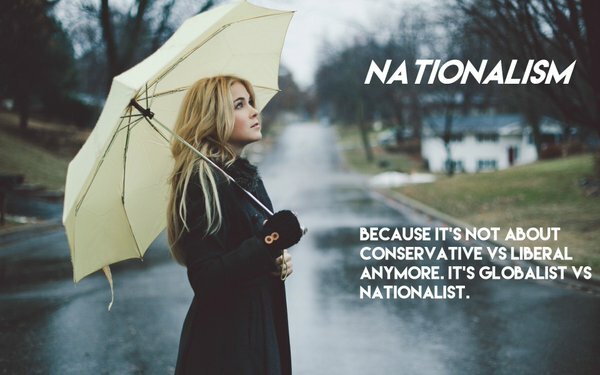 A few months ago, The New Nationalist (TNN) ran a series of posts on the big foundations. These should have gotten more traction than they did, because the influence and clout of these institutions are immense. They are effectively shadow governments. The following posts listed below focus on historical, societal and cultural impacts, much of which sketchy or negative. Yes, the titles aren’t click baity, but don’t let that fool you. The Rockefeller Foundation has been a major contributor to Jewish power centers, such as the Council on Foreign Relations, the Brookings Institution and the World Bank, along with massive grants to the ivy league yeshivas. Next, we look at the management of the Rockefeller Foundation today. As we often say at TNN, “We aren’t in Kansas anymore.” As important, we must ask: How has that been workin’ for ya? If systems are failing, isn’t it more than appropriate to ask who’s responsible? Among the Rockefeller Foundation’s 12 board members, there is just one non-Jewish white person: John Rowe, and he’s affiliated with the Jewish Mount Sinai. Looks like a conquering tribe. John Rowe, M.D., 2007 – professor at Columbia University Mailman School of Public Health; former Chairman and CEO of Aetna, Inc. (White, although the fact that he was president of Mount Sinai Hospital and the Mount Sinai School of Medicine in New York City). The foundation has dipped into Indian subcontinent’s “big brain talent pool” for its new president, one Rajiv J. Shah. Jessica T. Mathews – President, Carnegie Endowment for International Peace, Washington, D.C. If we didn’t know any better, we might think this is the template for completely marginalizing non-Jewish whites. That would certainly be nothing new. Rockefeller Foundation is also an un-American institution, with no real concern for Americans other than sheeple-herding. We are almost afraid of bird-dogging who runs the other big foundations. They bring in “people of color” to make it look more convincing. Is this new demographic because the Rockefeller foundation has been SJW-converged as Vox Day calls it, a sort of hostile takeover, or is the Rockefeller power still calling the shots? I had thought the rich set up these foundations to preserve their wealth and power generationally, though I have no idea of the mechanics of how that works. David Rockefeller, who only recently died played a key role with the Foundation. He and Peggy’s stash were recently up for auction on Christie’s. A lot of foreign artifacts and art was on sale. I didn’t look at the lots past that. Stuff in the report, I’m sure it’s all very well-sourced and accurate. [But I think] … no one really cares. As I’ve been loath to admit to myself – actual facts are irrelevant to most people. The key determining factor of belief or lack thereof is whether or not it is perceived to be in the interests of the individual … And often the interests themselves are based on emotion and/or psychological problems. The biggest drive is a desire for social acceptance. That is the core interest of most people. So, the real game is not presenting facts and reality to the people – that [tends to have little effect]. The real core game is manipulating the perception of the individual as to what their interests are, in particular by manipulating the terms of what is socially acceptable [in their minds] – and I have [sadly] not seen any evidence that facts build more moving narratives than lies. The author of the above blockquote is Andrew Anglin. Anglin is totally right. People do NOT appreciate efforts to change their opinions. It triggers a rejection reflex in the psyche because you are ultimately telling them their judgement is faulty and the psyche can’t take that because once you acknowledge that possibility then all your actions and understandings are questionable. Close mindedness is a defense mechanism that protects the sense of self and very few can withstand that onslaught. People don’t care about facts and the current “fake news” meme has hollowed out all facts without research and no one is going to spend time checking to see if you’re telling the truth and there will be plenty of statements to the contrary anyway. I won’t say it’s futile but it will take another 9/11 event to wake up most of the population although David Icke feels we’re seeing progress. People are prepared to accept a totally corrupt government however; the nature of it is the tricky part.